On this day in 1976, Bennie Briscoe and Eugene 'Cyclone' Hart fought their highly-anticipated rematch at the Spectrum. This pair had battled to a crowd-pleasing draw in November 1975, and everyone was waiting to see another war. But this fight was far different. 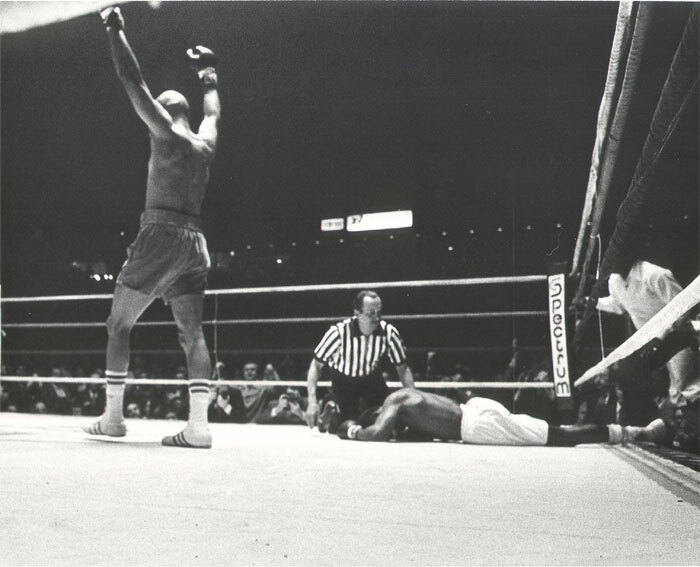 11,795 fans watched as Briscoe stepped out of his corner and finished his fellow North Philadelphian in the first round. They exchanged punches as Briscoe forced Hart to the ropes. But a Briscoe left hook to the body and a hand grenade right hand nearly knocked the Cyclone up and over the ropes. Then as Hart began to pitch forward, Briscoe whacked him with several more shots. Hart landed hard on the canvas and was counted out at 1:49 of the first round.